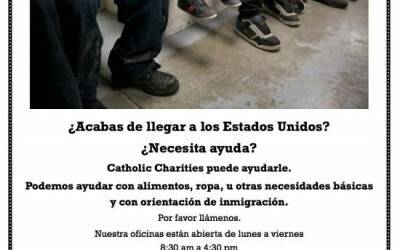 La organización Catholic Charities está ofreciendo un servicio de ayuda para inmigrantes que acaban de llegar a Delaware. Ofrecen ayuda con alimentos, ropa, necesidades básicas y orientación de inmigración. WASHINGTON, D.C. (Dec. 19, 2013) — This afternoon, Immigration and Customs Enforcement (ICE) announced deportation numbers for fiscal year 2013, which ended Sept. 30. Total deportations numbered 368,644. WASHINGTON, D.C. — This evening, the United States Senate voted to confirm Jeh Johnson as the new Secretary of Homeland Security. The Immigration Policy Center (IPC) releases The Cost of Doing Nothin on Immigration Reform. 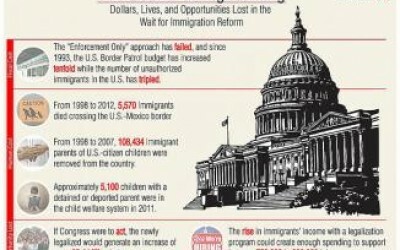 The fact sheet highlights the high cost of doing nothing on immigration reform legislation. El consulado guatemalteco va a llevar a cabo un fin de semana para trámites consulares en el sur de Delaware los días 23 y 24 de noviembre, 2013.